Community sport in Sunderland gets a major boost as construction work is set to get underway in the New Year on three multi-million-pound football hubs in Sunderland. In total, ten full-size, floodlit all-weather third generation (3G) artificial grass pitches (AGP) will be built across the three sites. Ford Quarry and Community North Sports Complex will each have three AGPs and Northern Area will host four, one of which will be fully-compliant for contact rugby. As well as improved access and parking, each site will feature a new hub building with new changing facilities, café and social and education spaces which will be available to the whole community. The local community will also benefit from a new, state-of-the-art health and fitness suite and studio at Community North Sports Complex. Four grass football pitches will also be improved across the portfolio. The investment follows discussions as far back as 2015 between local authority officers and The FA to discuss a fresh delivery model for football in the city, ensuring that there was a plan for grassroots football participation set-against a backdrop of significant budget reduction pressures and poor pitch quality. A professional operator will be appointed to take on the day to day running and management of the three hubs once they are built on behalf of the council and a newly established charitable Football Trust for the city. Local clubs and leagues have already been identified and are set to benefit as the core partner users of the sites. 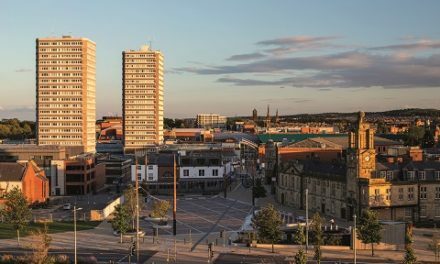 Earlier in the year, Sunderland City Council’s planning and highways committee approved plans to proceed with the development of the three projects. Esh Construction has been appointed by the council as principal contractor for the schemes with construction scheduled to begin in January 2019. Football Foundation spokesperson, Rory Carroll, said: “Since it was launched in 2000, the Football Foundation has supported 375 community football projects worth £66 million across the Durham County FA region. This is thanks to investment from our Funding Partners – the Premier League, The FA and the Government, via Sport England.